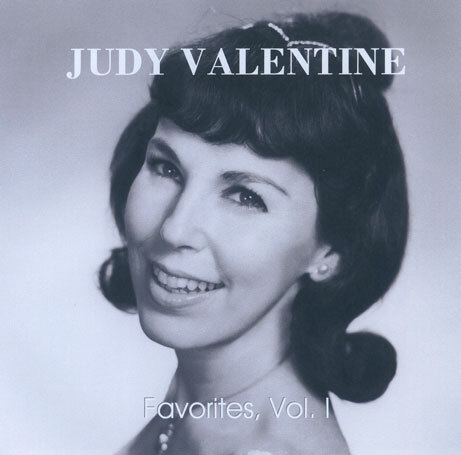 When one thinks of the Golden Age of Television and the stars of children's TV here in Boston, the name Judy Valentine appears at the top of a very distinguised list of performers. As the star of an early show for kids on Channel 5 along with co-star Carol Spinney (who would soon grow feathers and become the legendary "Big Bird," ) Judy won over the hearts of young people while impressing her piers in the broadcast industry. She was soon added to the cast of the wildly successful "Bozo's Big Top" show at Channel 5 and remained with the program for ten years. We baby boomers love Judy for her songs and the ever so sweet way she treated her fans and audiences. Judy was a hit on radio co-hosting with Sherm, she recorded many classic jingles and commercials, and made countless personal appearances; Judy produced over 30 recordings including Sherm's composition and top-10 hit "She Was Five and He Was Ten," "Kiss Me Sweet," and of course the classic "I'm a Little Tea Pot." From the 1970's to the present, she has spent much of her time raising a family, but continues to work in voice-over and commercials. Judy still makes personal appearances and performs both commercially and in support of her favorite charities. I've had the pleasure of knowing Judy and being her friend for nearly thirty years. She has been and continues to be one of the most consistent people I know---consistently professional, sweet, kind and caring. Just listen to any of her songs and you'll know what I'm talking about. All of us "grown-up kids" owe Judy Valentine our thanks and our love.